"Study of French teacher hiring investigating the role of gender shows interesting trends, but some question the interpretation and broader relevance" notes Elisabeth Pain, contributing editor for Europe. Few will dispute the enduring reality that women are underrepresented in many fields of science, technology, engineering, and mathematics (STEM). 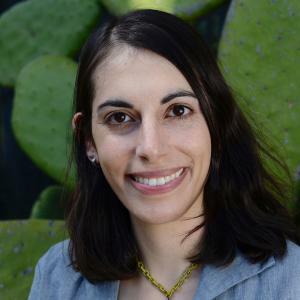 Gender discrimination in hiring at various academic levels is often put forward as a major reason, but recent studies have sparked controversy by suggesting that gender bias in male-dominated fields, in fact, favors women. 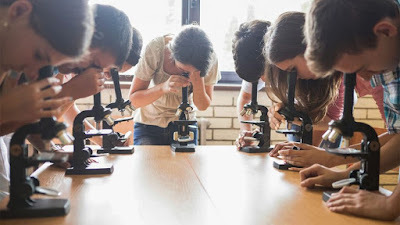 Among the latest evidence going in that direction is a new study published in Science this week showing that, in France, the fewer female academics there are in a given field, the better chance women have of being hired as teachers in that subject. The hiring bias also seems to work in the other direction, though to a lesser extent, with aspiring male teachers being favored in fields traditionally dominated by women. However, the relevance of these results to academia and their generalizability to hiring processes in other countries are subject to some debate. The hiring of teachers in France offers a unique, real-life setting to investigate the role of gender in skill evaluation. Every year, national subject-specific competitions are held at two levels—for teacher candidates to work at a middle or high school, or to gain the highest-level agrégation qualification to work in a high school, college, or university—to determine who will be offered a teaching position. Candidates are evaluated first by written exams, then oral ones. The identities of the candidates, and thus their genders, are only disclosed during the oral phase. Therefore, by measuring how candidates rise or fall in the rankings between the written and oral exams, the researchers could assess how knowing candidates’ genders affected their scores. One of the main conclusions of the paper, co-authored by Thomas Breda and Mélina Hillion of the Paris School of Economics, is that in fields as diverse as mathematics, physics, economics, and literature, there is no evidence of discrimination against the underrepresented gender. “We rather find that the gender in minority is increasingly favored” during teacher hiring as the level of underrepresentation in academic faculty positions increases, the authors write in a joint email to Science Careers. In male-dominated fields such as math, physics, and philosophy, the bias worked in favor of women: The hiring advantage gained by female candidates between the written and oral exams was equivalent to an average of 10% of female candidates overtaking all the men. Meanwhile, there was a subtler yet opposite bias at play in female-dominated fields such as literature and foreign languages, equivalent to 2 to 6% of the male candidates overtaking all the women between the written and oral phases. In most fields close to gender equity, including history and literature, no bias against either gender was found. The highest-level biology exam is however an exception, as female candidates faced a ranking loss of 4% compared to males, even though women represent around 46% of academic faculty in this field in France. The findings are most directly relevant to aspiring middle and high school teachers, but they are also applicable to those pursuing academic research careers, the authors argue. In France, about a quarter of the candidates who pass the highest-level agrégation exam join colleges and universities, where they are hired primarily to teach but are also allowed to conduct research or prepare Ph.D. theses, the authors explain in their email. This is not the traditional entry route for French assistant professors, but a significant number of Ph.D.-holders take the exam to secure full-time teaching positions at universities while waiting to win assistant professorships. Having an agrégation can also improve aspiring academics’ career prospects in some fields, which makes the results more broadly relevant to academia, the authors argue in their paper. “The main message for female students is that they can enroll in the academic tracks traditionally dominated by men without strong fear of discrimination,” they write in their email. Get the eBook - Big Data Security for Dummies below now. Security‐conscious organisations are turning to Big Data Security in their fight against cybercrime. This Dummies’ guide explores how Big Data is transforming security and how organisations can deploy these techniques. 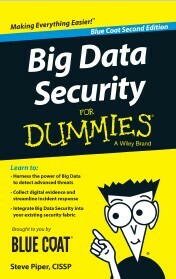 Download Big Data Security for Dummies. Cut the cost of recovering from an attack. Blue Coat writes in the introduction, "These days, the skill of modern threat actors has eclipsed the defensive capabilities of traditional cybersecurity tools. Major breaches consistently occur in the networks of the most technically savvy enterprises and governmentagencies — and even in security vendors’ own networks." Over the years, network security teams have implemented a wide range of set‐it‐and‐forget‐it tools that attempt to blockthreats based on signatures and traffic behaviors. Although these tools provide some defensive cover, they may also provide a false sense of security, as high‐profile organizations continue to suffer new and ingenious attacks. Security‐conscious organizations are turning to Big Data Security in their fight against cybercrime. By aggregating and analyzing all available network intelligence — including raw packets, flow data, and files — these solutions can uncover advanced threats that traditional security defenses can’t possibly detect. At the same time, they allow organizations to streamline their incident response efforts in ways never thought possible. If you’re responsible for securing your organization’s network or responding to security incidents, you can’t afford to miss this book. Fernando M. Reimers, professor of international education and the director of the Global Education Innovation Initiative and the International Education Policy Program at Harvard University. He is the co-author of Empowering Global Citizens: A World Course summarizes, "We are living in a world that is increasingly interdependent. 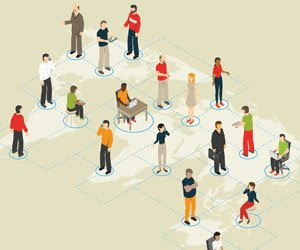 Local and global affairs are deeply intertwined, and technology has transformed the ways in which most people interact, access knowledge, work, and participate civically." These changes are part of our ever-increasing globalization—a process that is shrinking our planet and bringing us all into more intense contact with one another, often across lines of social, cultural, and racial differences. Preparing students to live and work in an integrated world and contribute to improving society fulfills public schools' intended purpose. But many schools fail to provide students with such opportunities at a moment in history when the need has never been greater. Ethnic and religious differences continue to be a source of conflict rather than the basis of productive and creative collaboration. These differences are exacerbated by politicians who capitalize on fear, creating walls that marginalize many groups and contribute to further alienation. Rhetoric in the U.S. presidential race and in the United Kingdom's Brexit vote echo these themes of unease. Recent tragedies in cities around the world underscore a widespread attitude of bigotry and prejudice. Recent headlines recount a succession of deaths resulting from this attitude, including in Dallas, Baton Rouge, Orlando, and St. Paul in our own country, as well as in Afghanistan, Bangladesh, France, Germany, Iraq, and Turkey. This educational failure highlights the paradox that even though children across the world have greater access to education than they've had at any time in the past century, and globalization is bringing humanity closer together, we have also been pushed further apart. 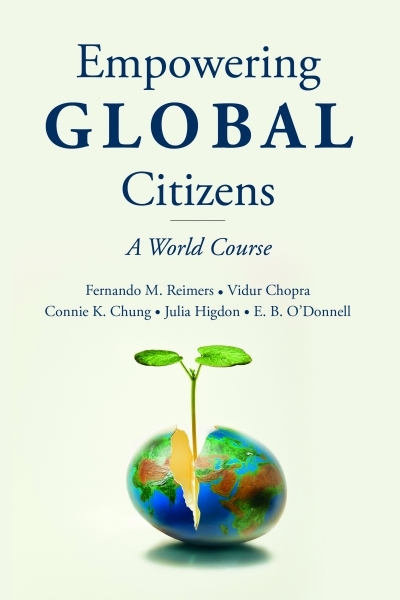 To help students respond to this crisis in a constructive way—rather than with fear—schools must take responsibility for effective and more deliberate global-citizenship education. Advancing such education requires a well-designed curriculum and built-in support for educators to develop global competency themselves. This effort should embrace professional-development opportunities, along with the guidance of strong school and district leadership. 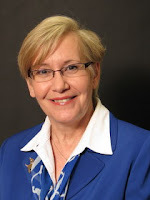 Laura Devaney writes, "Online learning and digital materials have certainly evolved over the years, with free digital materials growing in popularity due to their easy accessibility and ability to be edited to suit individual teaching and learning needs. Here, we’re taking a look at some of the latest online learning developments and some of the newest trends in online digital materials." Higher-ed instructors most often prefer to participate in online professional development (PD) opportunities that focus on training for online software and digital resources (34 percent), classroom management strategies (34 percent), and digital device training (33 percent), according to a new survey. Could textbook design curb student online cheating? Researchers from the University of California Riverside and zyBooks recently presented findings at the American Society for Engineering Education (ASEE) annual conference that shows students demonstrate integrity in learning and ignore online cheating opportunities—if they feel like they’re really learning. Ease of access and lower costs are two major drivers for the increase in digital course materials among college students, according to a twice-yearly national survey. The Department of Education proposed new rules for schools providing distance education, such as online courses, in order to get the state authorization needed to qualify for federal financial aid dollars. 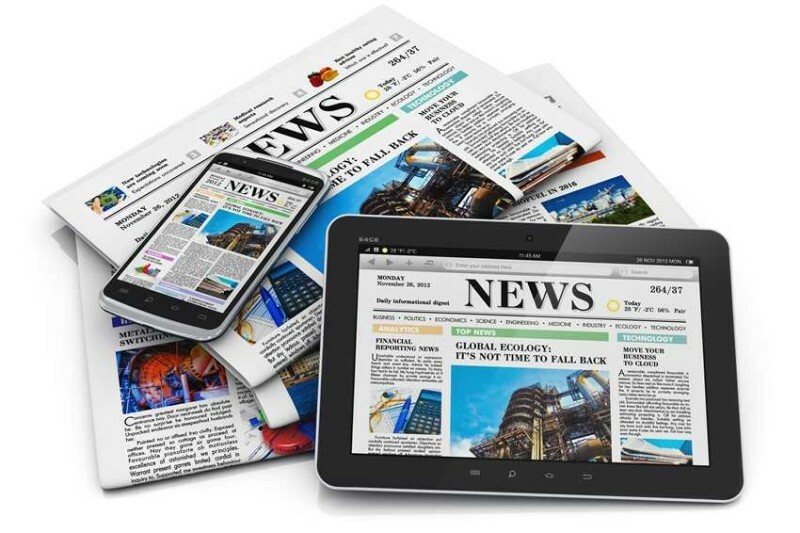 Catch up on the most compelling K-12 news stories you may have missed this week. As education evolves, so do trends and strategies to deliver instruction in the best possible way. When educators are aware of ways to improve instruction, students benefit and can show increased achievement. 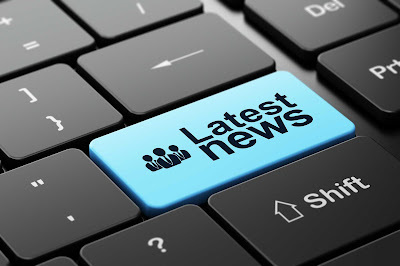 This week, we’ve gathered some of those trends in one place for you, from a new approach to science intruction to turning virtual teachers into online learning experts. LearnBop help teachers personalize instruction by pinpionting each student's knowledge gaps. Tracy Baines teaches reading and mathematics to 20 seventh and eighth grade special education students in Luverne, Alabama. Because she teaches both subjects, ensuring that each of her students receives the individual support he or she needs is challenging. Download the case study to learn more about how Ms. Baines uses LearnBop to help her students achieve real growth in math. Want to learn more about how LearnBop can help your students excel in mathematics? "Students in My Math Classes Next Year Will Do a Lot of Writing. Here’s Why." 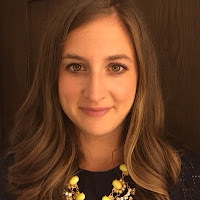 according to Amy Shapiro, She has 16 years of experience in education, 10 as a classroom teacher of math and physics and six as a program officer at an education non-profit. She is currently a STEM specialist at a small independent school in upstate NY. This fall, after six years out of the classroom, she will return and teach 7th grade math and science and 11th grade physics. 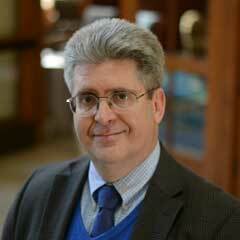 I started my teaching career at a large comprehensive high school, teaching math exactly as I had been taught. Each day, I introduced my students to a new type of problem, solved a problem for them, and wrote the procedure in listed steps alongside my solution. Then I assigned them additional problems to solve on their own using the procedure that I provided. My students’ progress was slow with this approach, and I felt like I was struggling to reach them. After four years of teaching, I switched gears and spent my fifth year teaching physics to 9th graders at a new engineering-themed small school in the Bronx borough of New York City. That year was completely different from my past teaching experience, both in terms of the content I was teaching and the type of instruction I was trying to provide my students. I used an inquiry-based curriculum with project-based assessments in this physics course with mixed success. I finished the year feeling like the course had gone better than the teacher-centered math courses I had taught during the previous four years, but I wasn’t able to instantaneously change the learning in my classroom as much as I had hoped. Again, I found myself struggling to accurately assess what had gone wrong and how to improve. My principal contacted me over the summer because she was looking for someone to attend a training on teaching English-language learners. Our district’s department of education required someone from each school to attend a weeklong summer professional-development course, and no one else from my school was available or wanted to go. Initially, I felt like the training wouldn’t be applicable to my practice, but I decided to attend mostly to “take one for the team.” But, in fact, it was this PD experience that opened my eyes as to what had gone wrong the previous year and started to provide me with concrete strategies to improve the teaching and learning in my classroom. I learned, specifically, about the central role of language development in learning, even in math classes. In the PD, all the activities presented were those that would be done in an English class. I was immersed in a classroom designed with ELLs in mind and I participated in all the activities as if I were a student. For example, before we read a short story, we completed an anticipatory guide, a strategy used before reading to introduce students to some of the vocabulary and ideas they were going to encounter in the story. While an anticipatory guide might be old news for an English teacher, it really opened my eyes as a math and science teacher. Through this activity and others like it, I started to think about how much vocabulary my students actually needed to learn in my classroom, especially if I was going to talk to them with appropriate mathematical and scientific words as they learned the new content. Regardless of whether my students were ELLs or former ELLs or neither, all the new content they were learning required them to learn new academic language as well, and I needed to teach this language to them. 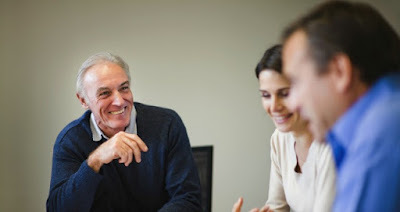 At this point in my career, I made a commitment that going forward, I would make a conscious effort to help my students develop both spoken and written academic language. I continued to teach a variety of math and science classes for four years after this eye-opening summer training. I experimented with different ways to get my students talking and writing about math and science. I tried grouping my students purposefully, providing different participation structures like “round robins” and “novel ideas only,” and asking my students to write lab reports in science class and essays to identify and explain their mistakes in solving problems in math class. I even had my calculus students read a nonfiction book in literature circles about Newton and Leibniz’s independent discoveries of calculus and required them to keep a journal about their reading and the connections they were making to their own learning in calculus. It was an exciting time for me as I tried to help improve the teaching and learning in my classroom, and I definitely felt more successful as a teacher. My students’ written work gave me insight into what they understood and what they didn’t in a way I had never experienced when the majority of the assessment in my classroom was summative and focused on correct answers rather than explanations and processes. Organizations are moving toward online or blended learning at a rapid pace. Why? Because they are seeing the benefits of reduced production and delivery costs. If you've been evaluating a move from face-to-face training to online learning, or you're trying to convince your superiors of the benefits, the Free eBook: The Ultimate Guide To Moving To Online Learning please, you must read this e-Book. If you’re thinking about making the move from face-to-face to online learning, but aren’t sure where to start, this guide is for you. It’s packed with useful information designed to help you piece together modern online and blended training for your learners. 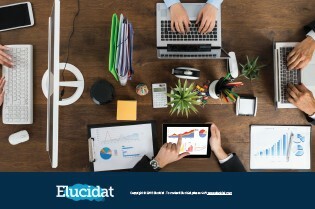 Elucidat writes in the eBook, "A recent report by Towards Maturity on people’s learning preferences announced that 70% say that online learning improves job performance and 90% access learning on their mobile devices. Online learning gives audiences more control with its self-paced and readily-accessible content. But audiences also rank collaboration, tutor-led, and social learning highly, which is why blended learning can provide the ultimate solution." Tania Lombrozo, psychology professor at the University of California, Berkeley summarizes, "Thomas Kuhn, the well-known physicist, philosopher and historian of science, was born 94 years ago today. He went on to become an important and broad-ranging thinker, and one of the most influential philosophers of the 20th century." 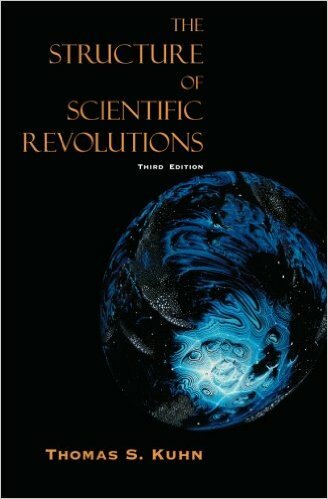 Kuhn's 1962 book, The Structure of Scientific Revolutions, transformed the philosophy of science and changed the way many scientists think about their work. But his influence extended well beyond the academy: The book was widely read — and seeped into popular culture. 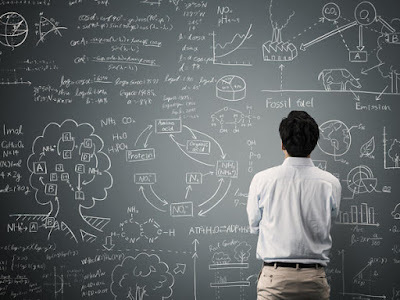 One measure of his influence is the widespread use of the term "paradigm shift," which he introduced in articulating his views about how science changes over time. Inspired, in part, by the theories of psychologist Jean Piaget, who saw children's development as a series of discrete stages marked by periods of transition, Kuhn posited two kinds of scientific change: incremental developments in the course of what he called "normal science," and scientific revolutions that punctuate these more stable periods. He suggested that scientific revolutions are not a matter of incremental advance; they involve "paradigm shifts." Talk of paradigms and paradigm shifts has since become commonplace — not only in science, but also in business, social movements and beyond. In a column at The Globe and Mail, Robert Fulford describes paradigm as "a crossover hit: It moved nimbly from science to culture to sports to business." But what, exactly, is a paradigm shift? Or, for that matter, a paradigm? Accordingly, a paradigm shift is defined as "an important change that happens when the usual way of thinking about or doing something is replaced by a new and different way." More than 50 years after Kuhn's famous book, these definitions may seem intuitive rather than technical. But do they capture what Kuhn actually had in mind in developing an account of scientific change? Welcome to the wonderful world of eLearning—a place where you can create and deliver exciting and helpful instructional content, and then implement it online. 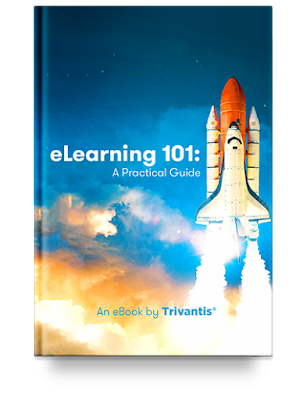 Inside this eBook, you'll find a complete guide to the foundations of eLearning development. Get the scoop on instructional design methods and go behind the scenes of eLearning development—from phase one to completion. This eBook is your info-packed resource to all things eLearning. What’s inside the new eBook? Trivantis writes, "What Is eLearning?" 1. What type of electronic device? 2. What is an online repository? 3. What is a learning activity? 4. Which tools are capable of web distribution? 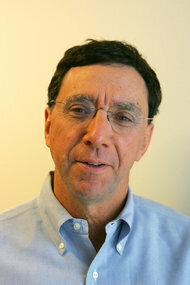 John Markoff, senior writer for The New York Times reports, "For more than a decade, Silicon Valley’s technology investors and entrepreneurs obsessed over social media and mobile apps that helped people do things like find new friends, fetch a ride home or crowdsource a review of a product or a movie." A Bossa Nova robot gliding through a store aisle to check inventory. "More and more students are flocking to the online classroom for the convenience of earning college credits from the comfort of their home. However, many of these students are ill-prepared for the dedication and discipline needed to be successful in the online environment." 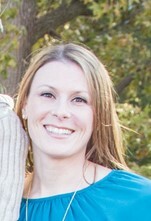 according to Amy Hankins, worked in education for 10 years, including online learning for eight years. Currently she is working as a full-time instructor for an online university. Oftentimes students have misconceptions concerning the rigor of online courses, and they often underestimate the amount of time and discipline necessary to complete assignments, discussions, quizzes, and projects. Therefore, it is important for the instructor to set the tone of the course to help students succeed. So how do you help your students succeed in the online classroom? Provide Detailed Instructions and Anticipate Questions. Ensure all instructions are easy to follow. Provide step-by-step instructions and ensure no detail is overlooked. Do not assume students will be able to read between the lines, rather provide students with every detail to complete the assignment, participate in discussions, navigate the course, etc. Consider the possible questions students may ask about the materials and answer them before students have an opportunity to ask. Provide these answers within the course instructions and course announcements. Post Announcements. Remain present in the course by posting announcements. At the very least, post an announcement each week to wrap-up the previous week and let students know what to expect in the upcoming week. If possible, try to post at least two announcements per week. Announcements provide an opportunity to do some housecleaning. Provide reminders, clarification, and overviews to help engage and motivate students and helps them see that you’re involved in their learning. Dr. Patty Phelps, professor in the Department of Teaching & Learning at the University of Central Arkansas insist, "I am not a skilled athlete, but I have watched enough sporting events to know that the fundamentals are essential to both player and team success." Take a closer peek at this whitepaper from TrainingZone in association with The Open University below. Learning and development is going through significant changes. 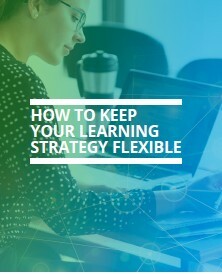 This whitepaper, in association with The Open University, looks at what is driving this change, and provides practical advice on how L&D teams can support their businesses with a more flexible and agile approach to learning. What is a flexible learning strategy? The Open University (OU) and TrainingZone writes, "We live and work in a VUCA world these days. VUCA stands for volatile, uncertain, complex and ambiguous and this new environment has changed the way that organisations, and all the functions within them, operate. That includes HR and L&D. Businesses need to be agile in order to gain and maintain a competitive advantage in this VUCA world. 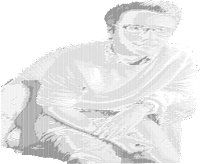 In fact, businesses need to be agile just to remain in business." Please take a closer peek at this article as below by Ben Tarnoff, love history, science fiction, and California. In the kingdom of apps and unicorns, Rossotti’s is a rarity. This beer garden in the heart of Silicon Valley has been standing on the same spot since 1852. 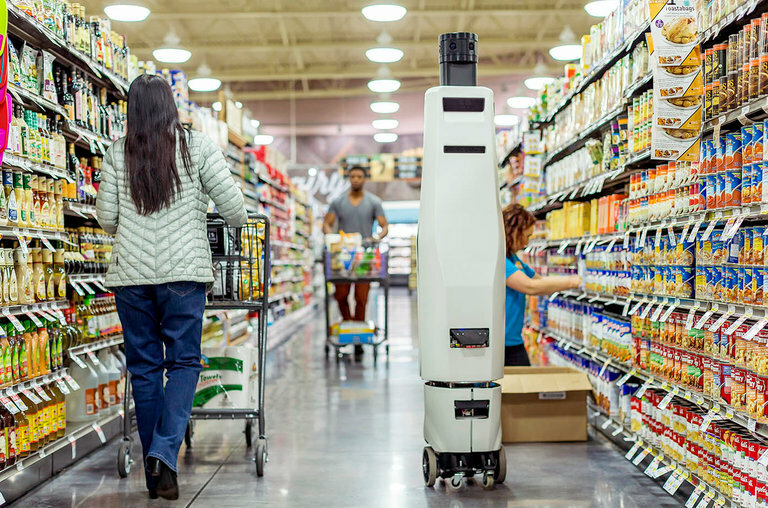 It isn’t disruptive; it doesn’t scale. But for more than 150 years, it has done one thing and done it well: it has given Californians a good place to get drunk. During the course of its long existence, Rossotti’s has been a frontier saloon, a gold rush gambling den, and a Hells Angels hangout. These days it is called the Alpine Inn Beer Garden, and the clientele remains as motley as ever. On the patio out back, there are cyclists in spandex and bikers in leather. There is a wild-haired man who might be a professor or a lunatic or a CEO, scribbling into a notebook. In the parking lot is a Harley, a Maserati, and a horse. It doesn’t seem a likely spot for a major act of innovation. But 40 years ago this August, a small team of scientists set up a computer terminal at one of its picnic tables and conducted an extraordinary experiment. Over plastic cups of beer, they proved that a strange idea called the internet could work. A plaque at Rossotti’s commemorating the August 1976 experiment. The internet is so vast and formless that it’s hard to imagine it being invented. It’s easy to picture Thomas Edison inventing the lightbulb, because a lightbulb is easy to visualize. You can hold it in your hand and examine it from every angle. The internet is the opposite. It’s everywhere, but we only see it in glimpses. The internet is like the holy ghost: it makes itself knowable to us by taking possession of the pixels on our screens to manifest sites and apps and email, but its essence is always elsewhere. This feature of the internet makes it seem extremely complex. Surely something so ubiquitous yet invisible must require deep technical sophistication to understand. But it doesn’t. The internet is fundamentally simple. And that simplicity is the key to its success. 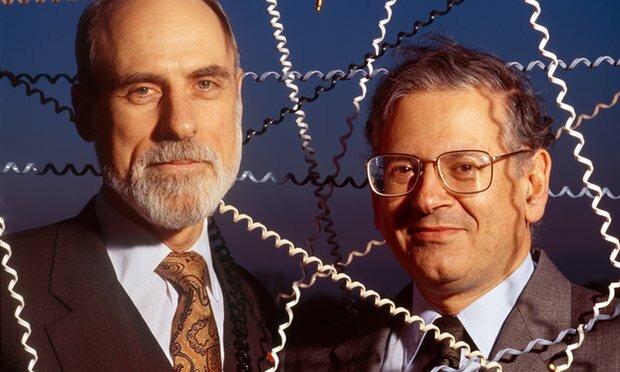 The people who invented the internet came from all over the world. They worked at places as varied as the French government-sponsored computer network Cyclades, England’s National Physical Laboratory, the University of Hawaii and Xerox. But the mothership was the US defense department’s lavishly funded research arm, the Advanced Research Projects Agency (Arpa) – which later changed its name to the Defense Advanced Research Projects Agency (Darpa) – and its many contractors. Without Arpa, the internet wouldn’t exist. As a military venture, Arpa had a specifically military motivation for creating the internet: it offered a way to bring computing to the front lines. In 1969, Arpa had built a computer network called Arpanet, which linked mainframes at universities, government agencies, and defense contractors around the country. 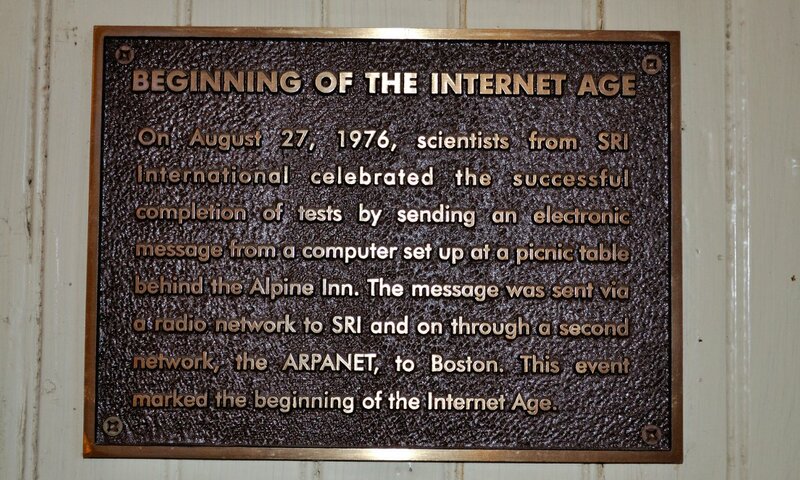 Arpanet grew fast, and included nearly 60 nodes by the mid-1970s. But Arpanet had a problem: it wasn’t mobile. The computers on Arpanet were gigantic by today’s standards, and they communicated over fixed links. That might work for researchers, who could sit at a terminal in Cambridge or Menlo Park – but it did little for soldiers deployed deep in enemy territory. For Arpanet to be useful to forces in the field, it had to be accessible anywhere in the world. Picture a jeep in the jungles of Zaire, or a B-52 miles above North Vietnam. Then imagine these as nodes in a wireless network linked to another network of powerful computers thousands of miles away. This is the dream of a networked military using computing power to defeat the Soviet Union and its allies. This is the dream that produced the internet. Making this dream a reality required doing two things. The first was building a wireless network that could relay packets of data among the widely dispersed cogs of the US military machine by radio or satellite. The second was connecting those wireless networks to the wired network of Arpanet, so that multimillion-dollar mainframes could serve soldiers in combat. “Internetworking,” the scientists called it. Internetworking is the problem the internet was invented to solve. It presented enormous challenges. Getting computers to talk to one another – networking – had been hard enough. But getting networks to talk to one another – internetworking – posed a whole new set of difficulties, because the networks spoke alien and incompatible dialects. Trying to move data from one to another was like writing a letter in Mandarin to someone who only knows Hungarian and hoping to be understood. It didn’t work. 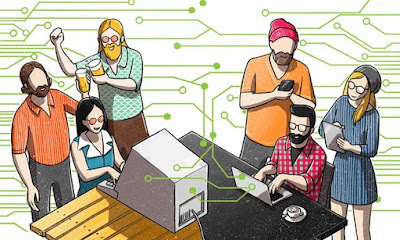 In response, the architects of the internet developed a kind of digital Esperanto: a common language that enabled data to travel across any network. In 1974, two Arpa researchers named Robert Kahn and Vint Cerf published an early blueprint. Drawing on conversations happening throughout the international networking community, they sketched a design for “a simple but very flexible protocol”: a universal set of rules for how computers should communicate. These rules had to strike a very delicate balance. On the one hand, they needed to be strict enough to ensure the reliable transmission of data. On the other, they needed to be loose enough to accommodate all of the different ways that data might be transmitted. 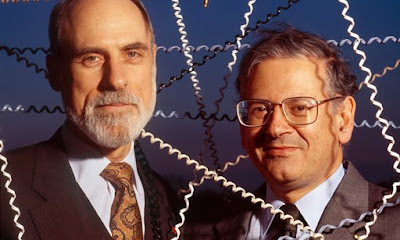 Vinton Cerf, left, and Robert Kahn, who devised the first internet protocol. “It had to be future-proof,” Cerf tells me. You couldn’t write the protocol for one point in time, because it would soon become obsolete. The military would keep innovating. They would keep building new networks and new technologies. The protocol had to keep pace: it had to work across “an arbitrarily large number of distinct and potentially non-interoperable packet switched networks,” Cerf says – including ones that hadn’t been invented yet. This feature would make the system not only future-proof, but potentially infinite. If the rules were robust enough, the “ensemble of networks” could grow indefinitely, assimilating any and all digital forms into its sprawling multithreaded mesh. Eventually, these rules became the lingua franca of the internet. But first, they needed to be implemented and tweaked and tested – over and over and over again. There was nothing inevitable about the internet getting built. It seemed like a ludicrous idea to many, even among those who were building it. The scale, the ambition – the internet was a skyscraper and nobody had ever seen anything more than a few stories tall. Even with a firehose of cold war military cash behind it, the internet looked like a long shot. Then, in the summer of 1976, it started working.